I am using the latest version of JetSearch on a Windows 7 Home Premium with the latest updates. I enter a search subject and click on search and it locates appropriate files on the hard drive and an attached flash drive. Sometimes when I right click on a selection and then click on open folder, it doesn't take to me the folder with file highlighted as it normally does. It just lists a group folders that are not applicable. I have tried different things to see if it has an effect on causing or not causing this problem. It usually works correctly for the next searched for topic but then may error on another search. 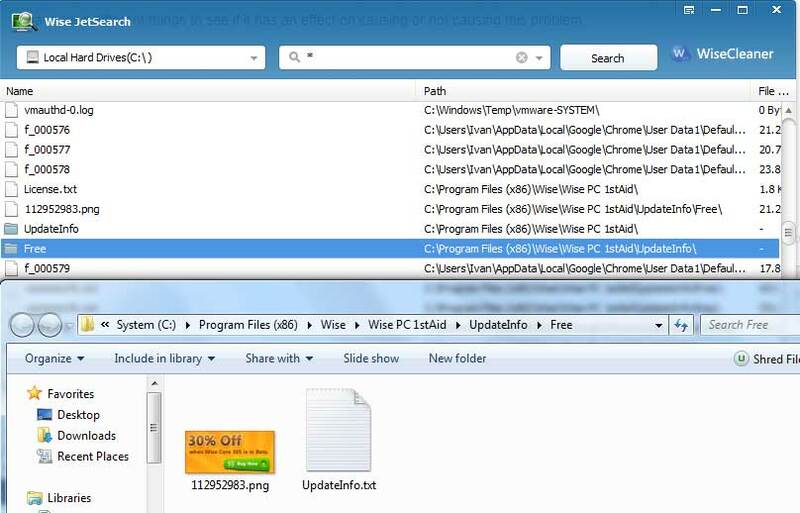 If you right click on a Folder named A, and select Open Folder, it will open folder, you can see all files in folder A. The folder A cannot be highlighted. If you right click on a File named B, and select Open Folder, it will open its folder, and the file A is highlighted. After I do a search my page looks like the top half of your attachments. It doesn't give me a choice of whether to click on the name (file) or the path (folder). The whole line is blue and it doesn't matter where along it I click. I usually left click before i right click to get the drop down menu. I have also just left clicked on the line to get the drop down menu and the same. I have even tried left clicking on the line at various spots and doesn't seem to make a difference. When it doesn't go to the correct folder it lists the group of folders in my user area and highlights the "My Documents" folder. As i mentioned it only happens infrequently so not a big problem. I have questions on other Wise JetSearch items but suspect it would be best to put each in a separate message. 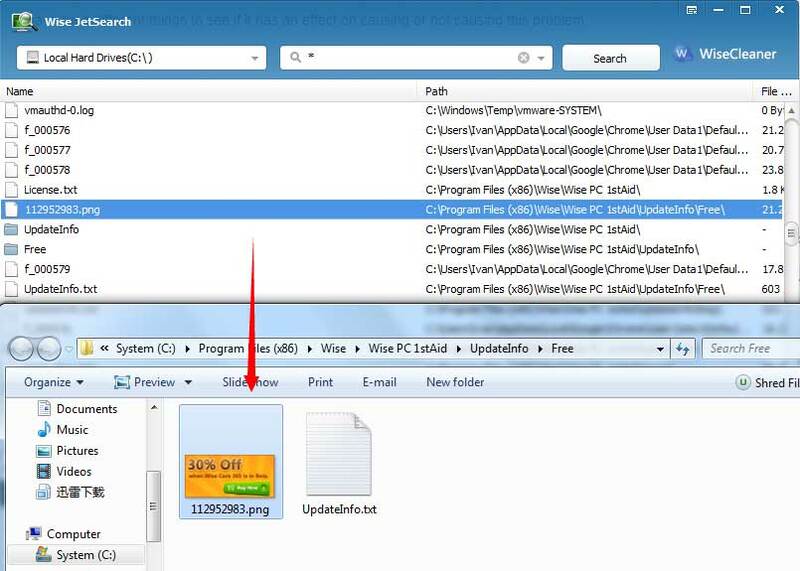 2, Double left-click will open folder or file directly. 3, 'It doesn't go to the correct folder', please show me a screenshot, or let me know the full path of the folder.